We offer professional business relocation services outside of business hours if required. We can move your entire business or items for your business! Let us know your requirements and we will find the most cost effective solution for you! 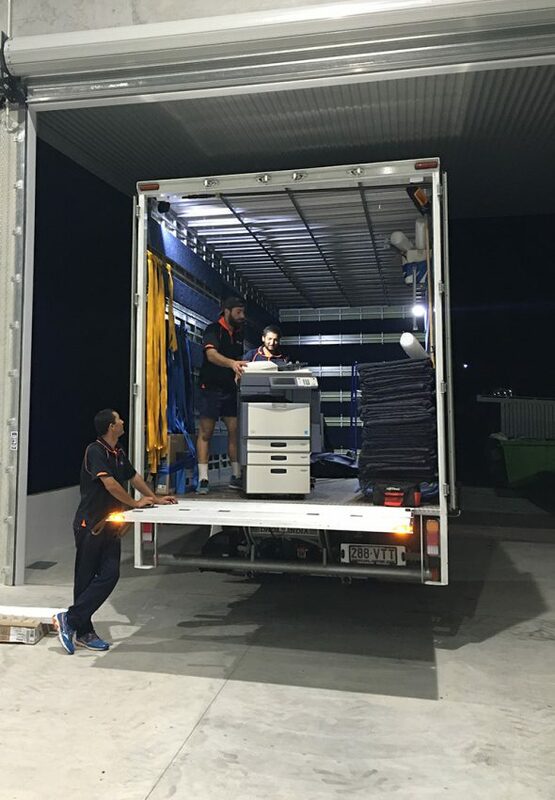 Appreciating the necessity of minimising any downtime we can schedule after hours moves or organise your business relocation on weekends. 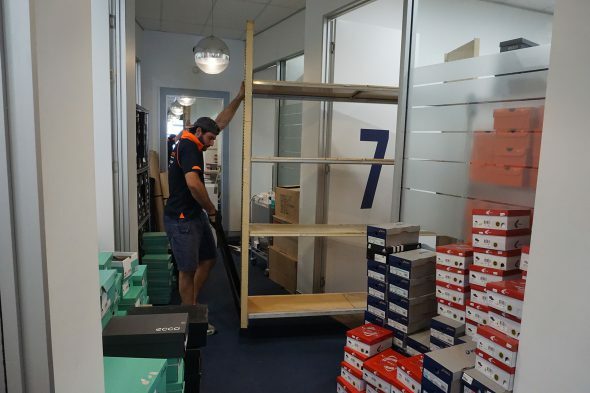 We offer packing and unpacking services so the move can be completed as fast as possible, ensuring you are set up for business at your new premises in no time! Modern Occupational Health and Safety Principles don't allow staff to lift heavy objects. Let us do the hard work - for the safety of your employees and your business assets. "A massive thank you to the team at Moveage Group. We have used them 3 times and on every occasion they were so professional, incredibly efficient and polite. I highly recommend this company and their team." Are you in a business that needs heavy items moved, occasionally or on a regular basis? We have many customers who use our services for their business needs. Entertainment companies, property stylists, professional organisers, real estate agents and retirement villages to name a few. Lets us know your business needs and we will make sure to work in with your specific requirements. "I just wanted to thank you for the amazing service we have received each and every time we have used your services. As a property stylist I have furniture that is required to be moved regularly. I have used several other companies to help with these moves but none compare to the professional service that you offer. The Moveage removal team have been, at all times, extremely professional, friendly and very efficient and most importantly they have taken care of my furniture. The trucks are clean and modern with wooden flooring and carpeted walls, which is perfect for ensuring our stock of furniture is kept in excellent condition. In my industry, I often need to book jobs last minute and you have been very accommodating to my requests, thank you. I have no hesitations to recommend Moveage Group to my clients, friends and anyone else I know that needs residential or business moving or storage. I look forward to continuing our work together." Owning our own purpose built storage facility we can offer flexible and cost effective storage solutions to suit your needs. Mobile Storage can provide you with additional storage space at your premises or we can store your items at our facility without any double handling. Please see here for more information regarding Mobile Storage options. 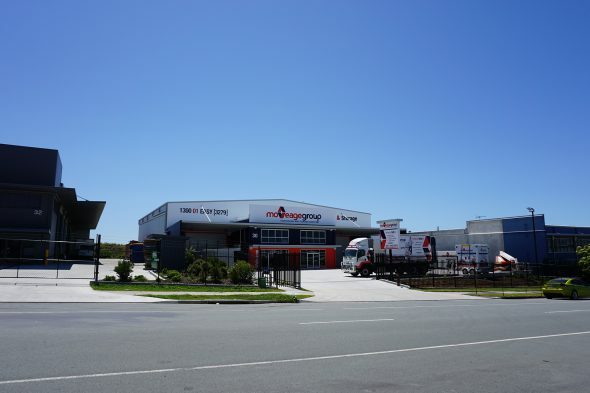 Or you can use our conventional removalist trucks and general storage setup to move into storage. Using the general storage option you recevie 3 weeks free storage! Any oversize items can be stored on pallet racking. Please click here for more information regarding general storage. Many of our staff have experience assisting in the construction industry, loading and unloading containers, navigating construction and floor plans and moving assets into their designated spots in new buildings and highrises. 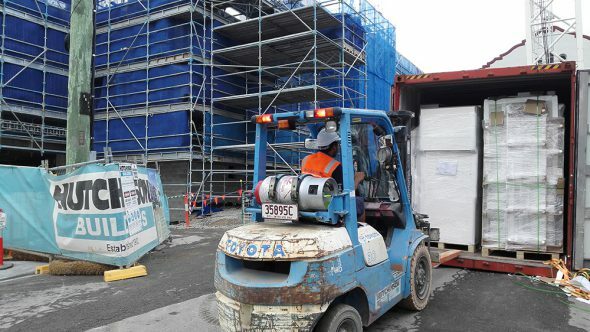 Of course they have their White Cards allowing them to work in the construction industry and High Risk Licences allowing them to operate Forklifts. Attending site inductions and working according to OH&S standards are the norm. If you are building or need someone to operate a forklift or extra labourers to get across jobs in a certain time frame we will be able to assist you! To discuss your specific requirements please give us a call!